As a child I never had much interest in cricket since there was no one at home watching it. With dad living in gulf and mom watching mostly her regional serials, we brothers grew up watching cartoons, WWE, the occasional Hindi movies, even the AXN shows like 'Reply's believe it or not' but never cricket. 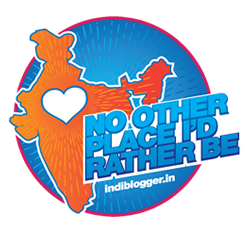 So it was in 2002, when we shifted our home to new locality with lots of neighbors watching cricket, Talking cricket and playing cricket, that it finally sparked a curiosity. 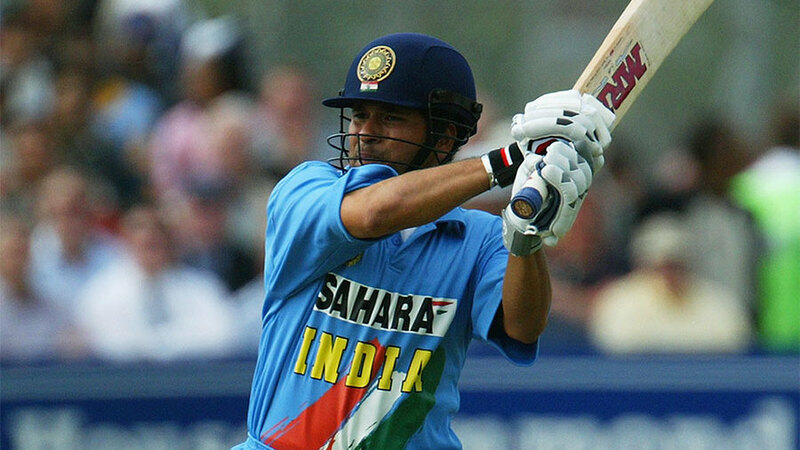 Before 2002, Sachin was easily the most recognizable name and face for me, Dravid and Ganguly were only heard about, while a lots of other cricketers name was not even known to me. It was the Netwest series of 2002 that changed everything, the excitement in the room full of neighboring uncles and kids during the match and the extraordinary run chase led by the two youngsters started a new Interest in my life: Cricket. The unexpected success in the 2003 world cup gave rise to numerous cricketing dreams, shots that I enacted at homes although not a good cricketer on the field, I was always the best in my dreams, with the finals of 2003 being played numerous times in my head, of course ending the other way around. With the rise of Indian cricket team with this new aggressive approaches, I became a fan of Sachin, Sehwag, Yuvraj and slowly became to relish the success of the team as my success. I would become sad if a match day comes on weekdays and I would have to miss the game, sometimes During the day games, I would run to home after the my afternoon school just so that I could see the last few overs or balls and enjoy the winning moments. One of the reasons why I started reading newspaper is because of crickets. i would read up all the articles about the game, matches, articles of other teams matches, etc, even collect the cut outs of my favorite player just like the every other die hard fan. When their is no telecasts on Doordarshan, I would switch on to the radio to make sure I remained updated with the game. From 2005 the Indian teams downward graph begin with the Ganguly-Chappel controversy dragging along till the early exit of 2007 50 over world cup. This was the period where I had to choose more often than not between studies and cricket, Because of board exams. The Early exit and the controversy around the teams poor performances and the board gave rise to a new rebel league ICL and with the advent of T20 matches around the cricketing world, the focus slowly began to shift towards the quick paced game of cricket, where the result would be declared within 3-4 hours. The T20 world cup win of 2007 gave rise to a lot of new young promising players. And soon they began to replace the our seniors in ODI's . This was beginning a little uncomfortable for me, as Although I wanted the team to win, I also wanted to see the Dravids and ganguly in the game. Thankfully, the lack of application from the young players and the experienced and good performances of seniors in the Test matches kept them in the game. 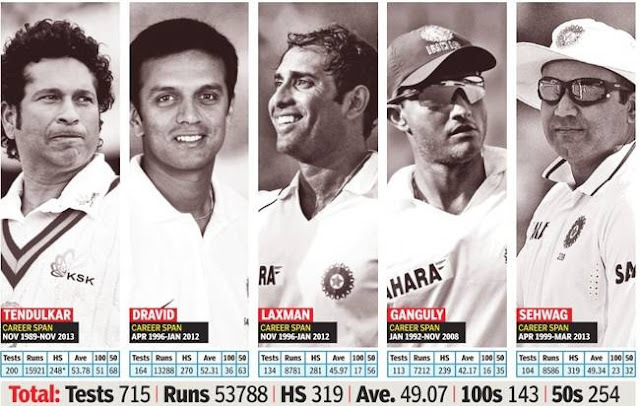 Within the couple of years the seniors started to retire from the cricket, starting from Ganguly, followed by Kumble, Laxman, and Dravid and with them I started to lose interest in cricket part by part. The 2011 world cup brought back the the excitement in me, the performance of our cricket team was spot on and we went on to win the world cup and my cricketing interest was back on track. while we would win the occasional ODI's, we were terrible in the test after the Worldcup, going on to lose the string of matches. And so did my fluctuating Interest, Earlier I would watch a whole cricket match if given a opportunity, then it became only for Sachin, Sehwag, Yuvraj, Zaheer and Dhoni's finishing off the game. I used to always blame that too much of T20 cricket, lack of Test victories or the good performances away from home as the reason for my declining interest in cricket. But it was far from true, I realized that there will never be the team I grew up with, the youngsters are new but are performing at the same level we did back in 2001-02, Its not their failure that caused me to lose interest, but it was life, the growing responsibilities and the pressures of education and job, had made me neglect the game. 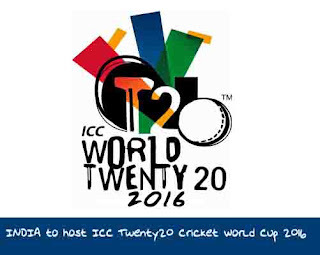 As T20 Word cup 2016 begins, the Interest seems to be back in me. Virat's exceptional Batting performances, Old guns Yuvi's magical sixes, Nehra's swing and Dhoni finishing the game seems to be back. Even the new age bowlers like Bumrah , Shami look promising, while it would be unfair to leave out turbonator as he could still change the game. It would be Interesting and exciting to see this team go up against the world and although they seem to be favorites to lift the cup, It wouldn't be easy but that's just what I wanted to get the cricket fan inside me back.